The Ospedale degli Innocenti is the oldest known institution devoted to the welfare of children. 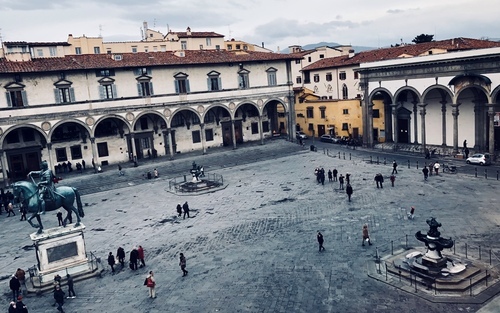 It is located in “Piazza della Santissima Annunziata” in Florence and is one of the best examples of the Italian Renaissance architecture. 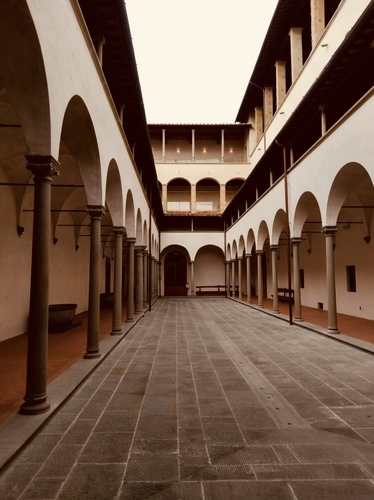 The Hospital was commissioned by the “Arte della Seta”, one of the seven Arti Maggiori1, that was active in charities and care. The institution was designed and built between 1419 and 1444, under Brunelleschi's direction. 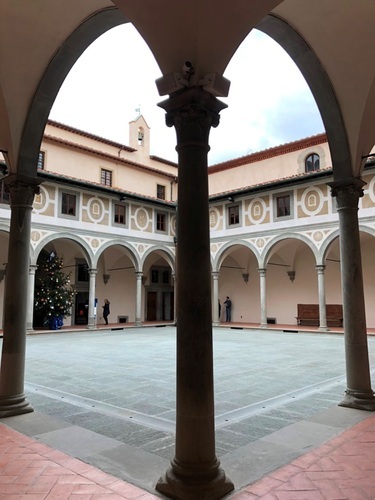 Due to its innovative shape for the age, it represented a new concept in hospital design, resembling to an aristocratic residence thanks to the Loggiato, dormitories, men and women’s courtyards. The hospital was the first European building, specifically erected for the care of foundlings. 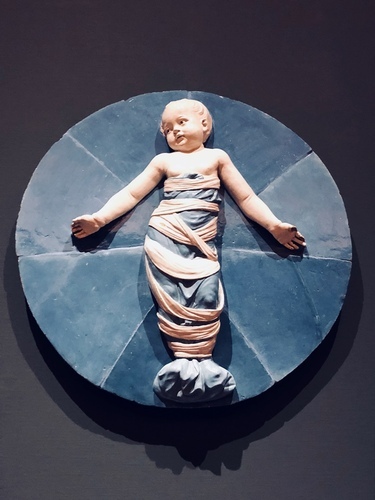 Its target is conveyed by blue roundels, situated between the arches and representing the “Bambini” of Andrea Della Robbia. Moreover, the emblem of the American Academy of Pediatric is based on one of the tondi. The entrusted children were baptized and breastfed by nurses: boys were taught to read and to write, girls to do household chores. It is attested that in 1756 Doctor Giovanni Targioni Tozzetti started studies of Variolation, experimenting it on children. After the spreading of Jenner’s Smallpox vaccine, since 1891 the Hospital became the only producer and supplier of vaccine at regional level. 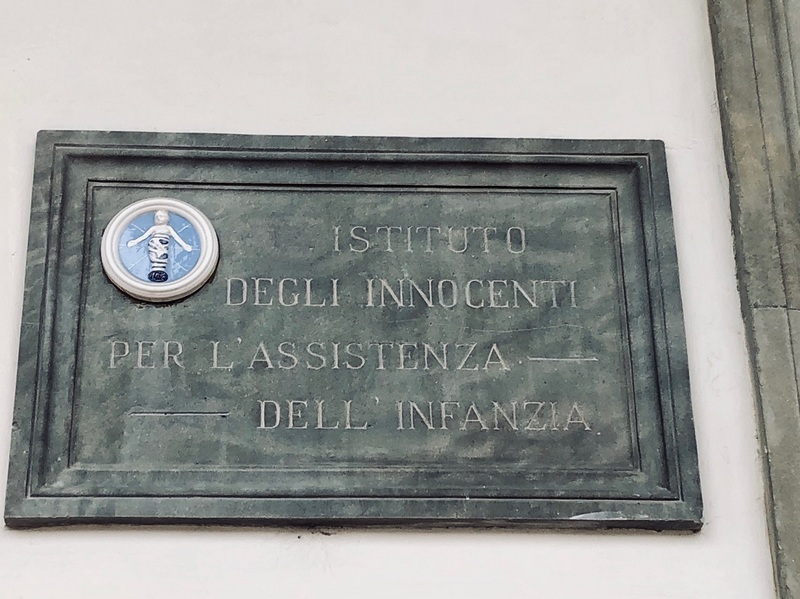 Today the “Istituto degli Innocenti” hosts a nursery school, a pediatric center and service for family and children in distress. Since 1988 it has started a collaboration with UNICEF, becoming an International Child Development Centre. Together they have a leadership role on children’s issues, researches and connected activities2.